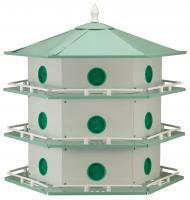 The Family purple martin bird house from S&K Manufacturing is one of the best purple martin houses around. 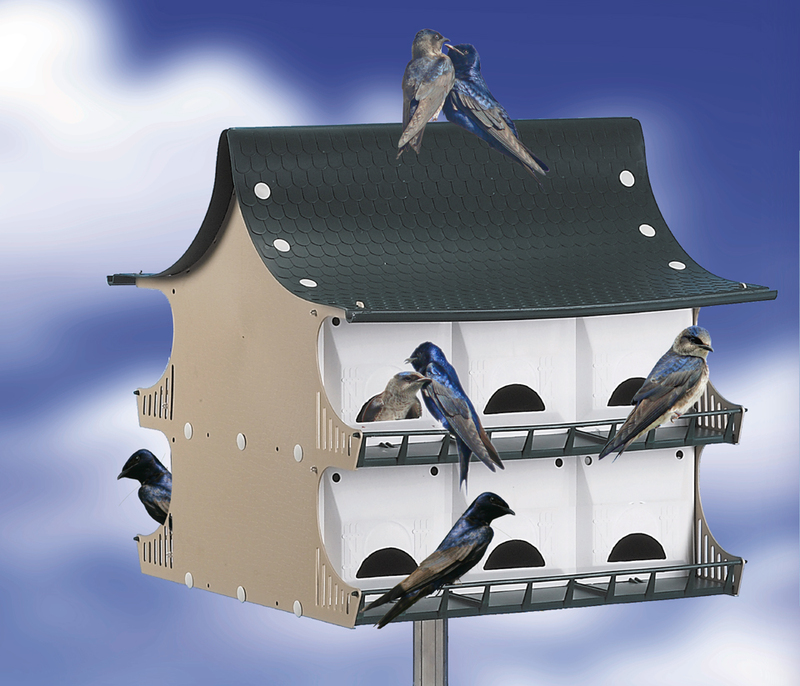 This beautifully crafted house comfortably offers housing for 12 Purple Martin families, which helps bring in the vibrant and social birds to your property. The exterior of the house features porches with rails for landing and taking off and a stylish roof that accents the house. 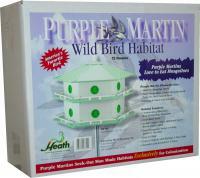 Like all the purple martin houses from S&K Manufacturing, the house is as functional as it is beautiful. Not only does the house snap together without the need of tools but hinged doors also make it easy to clean. On top of that, the entry doors are starling resistant, and the whole house is made of 100% UV protected material. The best part is that when you're ready to invite more Purple Martins onto your property, you can include multiple floors onto this house with additional houses. Predator guard and pole sold separately. 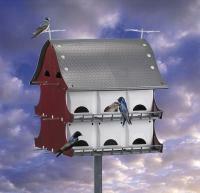 I love this purple martin house. No sooner than I had put it up Purple Martins were landing on it. I hear the Purple Martins singing every morning when I wake up. The bird house is really great and fits tightly together. The only complaint I have is that the hole cut out for the pole is triangular, so you are forced to buy the specific brands pole or an adapter. Not a very well built house, with the winds we have here I was forced to take the house down and waste the money I spent on it because it is plastic and the plastic base was bending and flexing, not a stable house if you have any kind of wind activity, stay with wood.